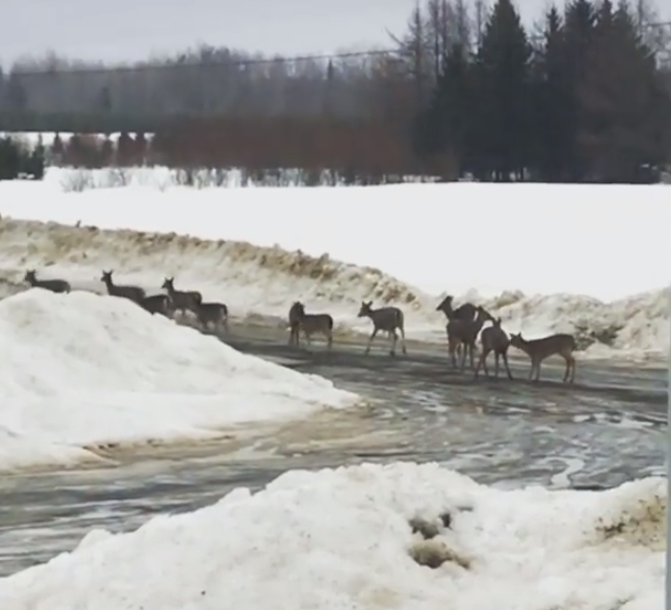 Video of a large group of deer spotted in Aroostook County, Maine today. They sure have had a hard winter so it’s good to see so many! Thanks to the Pens and Needles Maine Facebook page for capturing this! 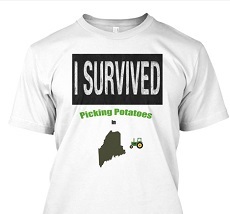 Welcome to Aroostook County Maine, better known as “The County”. When you’re up in The County, you’re way up north. Take a tour of the Northern Maine potato harvest with Tim Sample in this 1990s Post Card From Maine that appeared on the CBS Sunday Morning Show. 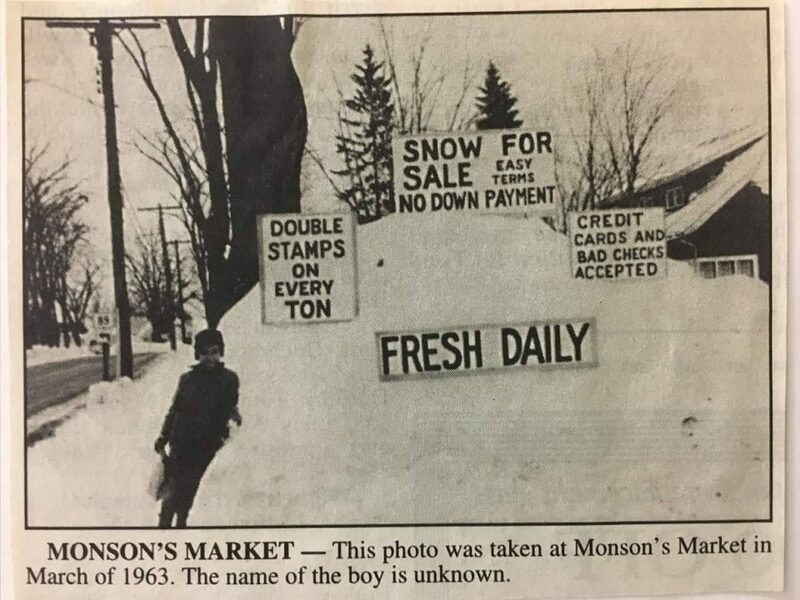 Traditionaly, schools in Aroostook County would let out for a few weeks in the Fall so students could help out with the harvest and earn some extra money, money that was essential for them to buy necessities like new clothes for school. While most farms had upgraded to modern harvesting equipment (even in the early 1990s) negating the need for hand pickers, a handful of small farms still employed kids to do the work. Amish horse and buggy. Note all four of the horse’s legs are in the air. 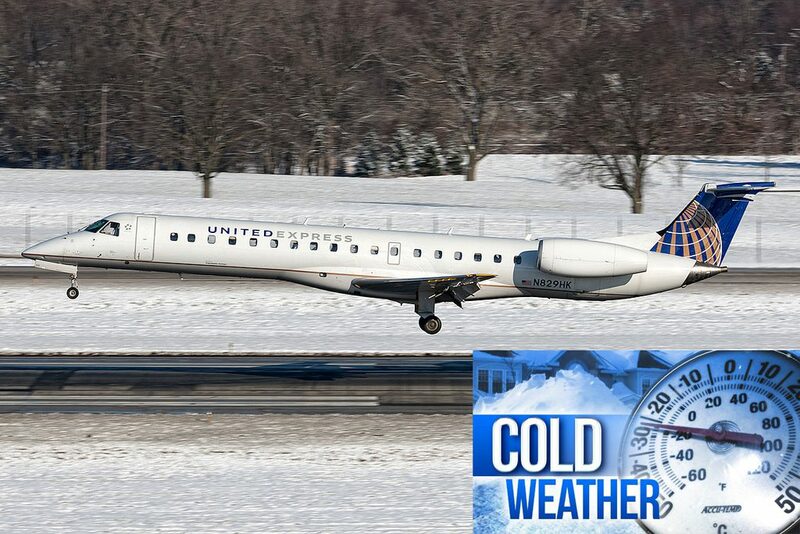 More than a week after the accident of United flight 4933, passenger flights are schedule to resume this evening (3/13/2019). A New York company, Kohan Retail Investment Group, has confirmed it has purchased the Aroostook Center Mall in Presque Isle for $4.56 million. The immediate plan for the mall is to attract new tenants, according to the owner. They want to start off by giving local businesses the opportunity to rent space to help out current mall tenants. 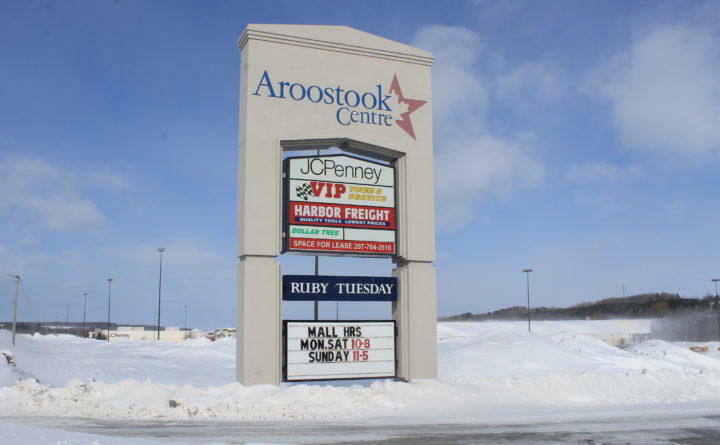 Retail isn’t the only option for Aroostook Center. In other malls owned by Kohan, he’s added hotels, apartments and other non-retail related businesses. Kohan plans to do a market study to see what will and won’t work here. With the change in ownership comes a change of mall management. Patti Kohan has taken over from Patti Crooks as the new mall manager. All interested tenants should contact her. A recent facebook video shows a group of adorable Lynx crossing Rt. 11 in Grindstone, Maine which is between Millinocket and Sherman. According to the Maine Department of Inland Fisheries & Wildlife, the Canadian Lynx is federally a threatened species and a species of special concern in the State of Maine. They are more commonly found in Western and Northern Maine, where snow depths are deepest in the state, but the species is expanding into eastern sections of Maine. Right now male lynx are on the move to find female mates, so maybe sites like this will be happening more commonly now that it’s breeding season. Be on the lookout! 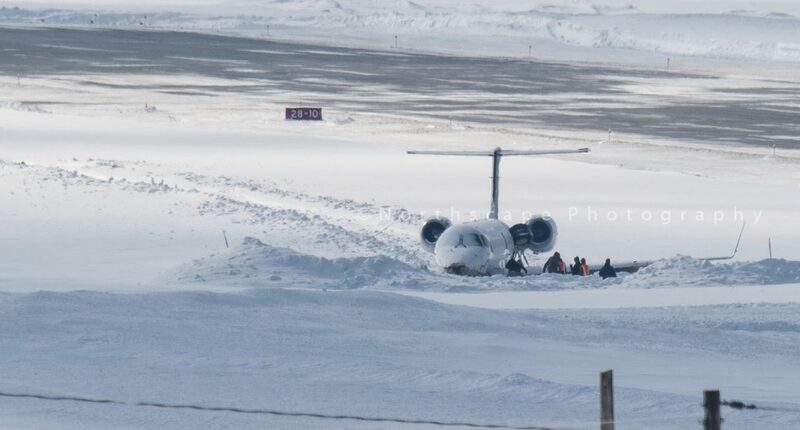 United Flight 4933 sits in the snow off the runway in Presque Isle after Monday’s incident. I once had a friend who traveled to a remote location for work and had such a horrible travel experience he said he would never return to that area again. This explains my recent experience with our Presque Isle Airport and United Airlines. 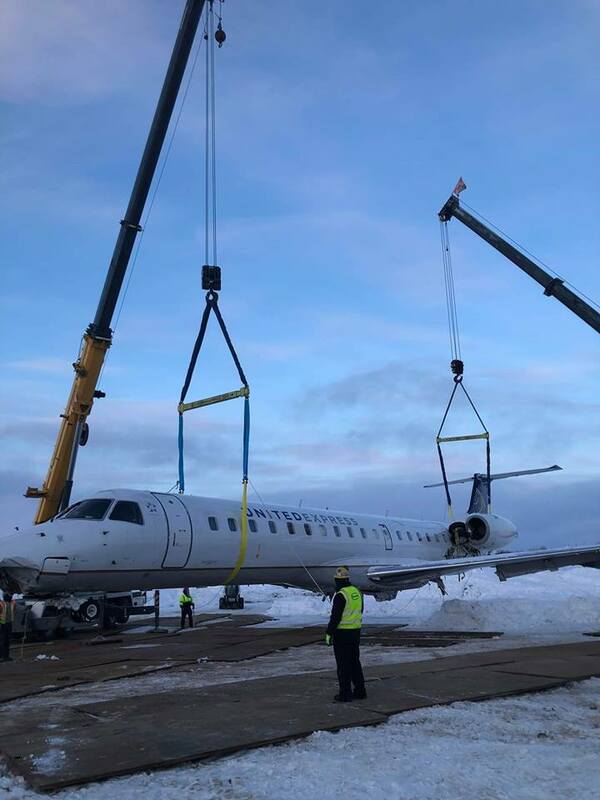 Although I do live in The County, I will gladly drive, walk, or take a bus to Bangor before using Presque Isle Airport with its current choice of airlines again. On the day of departure I was pleased to see we were able to board at our scheduled departure time. Unfortunately, we then had to sit on the tarmac for an hour in an unheated plane while they de-iced it. The plane was so cold that you could actually see your breath. Needless to say, every individual was freezing. 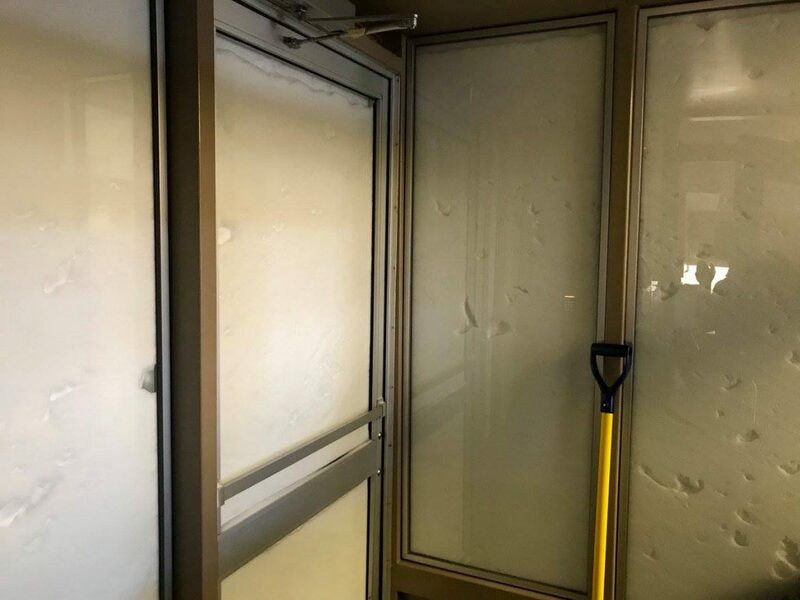 I might add that the outside temperatures that morning was -6 Fahrenheit. On our return flight, we were delayed for several hours for reasons I am still unsure of in Newark, New Jersey (the only place our airline provider flies to from Presque Isle). We were shuffled around Newark’s airport to 4 different gates before boarding almost 3 hours after our scheduled departure time. What a horrible experience United Airlines provided for their patrons. So here is my concern, the City of Presque Isle chose to use United Airlines to offer airfare service out of and into Presque Isle. I have heard story after story of similar or worse experiences and I am very concerned that, like my friend who travelled to India and never wanted to return, we are promoting similar opportunities to anyone who visits our location by allowing this type of unacceptable airline service to continue. 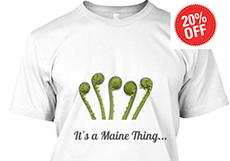 Northern Maine has a hard enough time trying to convince people to visit or move to our towns. 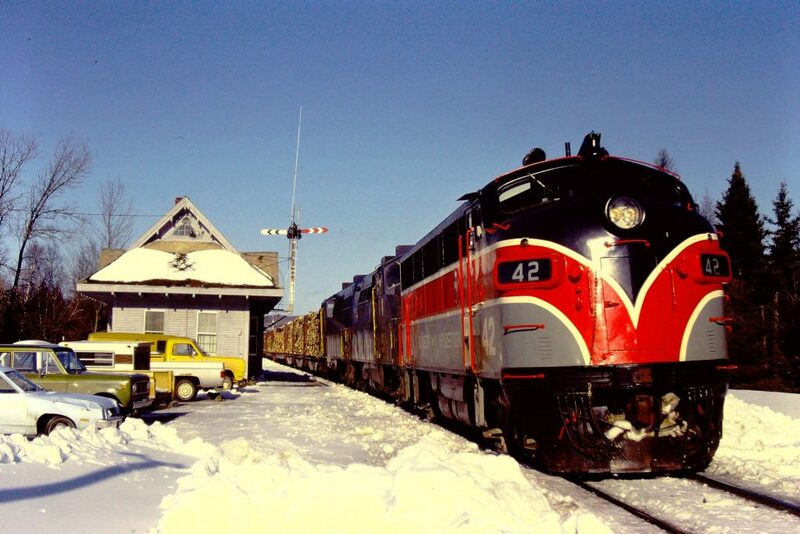 Unfortunately, I am sure that the many people who have travelled to northern Maine are now back at their homes or places of business promoting or explaining how horrible their experience to northern Maine was. Not because of our people, not because of our location, not because of our opportunities, but because of the experience of their travel. Presque Isle made a bad decision of airlines and they need to fix it. Once again this year Mother Nature has been kind to Aroostook County. The County has had early snowfall and the cold weather has allowed our lakes to freeze early. This winter wonderland provides outstanding conditions for our snowmobile enthusiasts and skiers alike, but also means the ice fishing season in northern Maine is off to a strong start. I am fortunate because once again, I am able to take part in the great winter pastime of smelt fishing, which has now become an annual tradition in the month of January for me. I am very thankful for this . My smelt ice fishing adventure involves meeting up with an old friend and spending an evening (into the morning) out on Long Lake in St. Agatha in a traditional ice fishing shack/cabin. It is always a certainty that we will have a great time with fantastic fishing, great conversation, some reminiscing, and many laughs. 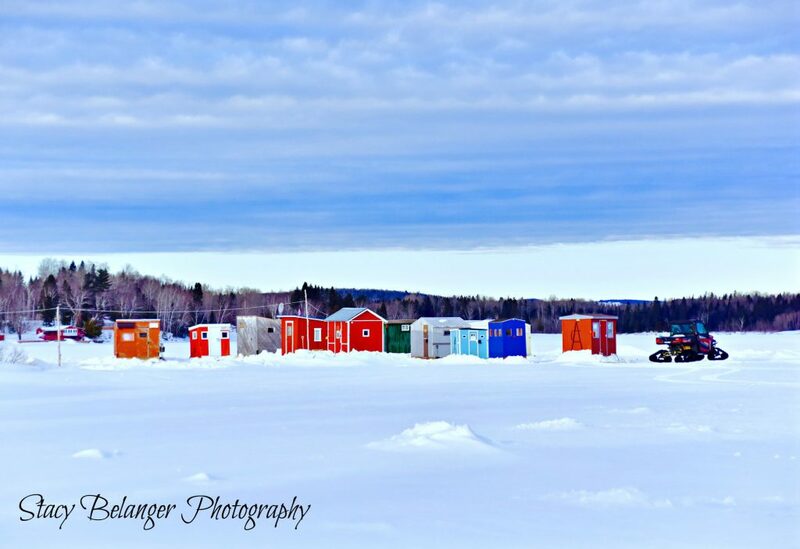 Cabins are scattered all over Long Lake between January and March, each one unique in its style and amenities, creating a community of ice fishing enthusiasts out on the frozen lake throughout the winter season. It really is a sight to see. Many locals are diehards and others participate when their work and home schedules allow. Everybody has an opinion as to where the best spots are on the lake and what time of day or night is best for smelt fishing. The cabin I fish in has been placed in the same spot every year for over 30 years. Some folks fish throughout the night to truly take advantage of some of the best fishing in the state of Maine. What I have seen over the course of the last few years is that a new wave of individuals are being introduced to the sport which is great and will surely keep this winter tradition alive for many years to come. The cabin we will spend the evening in is aged but still practical and effective. It has a propane tank outside supplying gas to the lanterns and heaters. It is nice and warm on the inside but yes, still very cold outside so very important to dress appropriately. Snowmobiles are typically the best way to get to the cabins out on the lake however many locals will use 4 wheel drive trucks and keep access paths plowed throughout the winter months. We have ten lines attached to the ceiling of the cabin that we will drop down into the hole, each line dropped at various depths. A match stick is tied to the line about half way between the floor and the ceiling and our eyes are on the stick; any movement will result in the line being pulled up and the catch unhooked and placed in a nearby 5-gallon pail. Throughout the night we will bait our hooks and check our lines. The baiting of each hook is critical for success. Our choice of bait is small cut up dorsal pieces of smelt on most hooks and the occasional stomach, also from a smelt, on select hooks. Ice smelt fishing is truly an authentic Aroostook winter experience and a great tradition. The actual act of fishing is the best part for me but it is also a treat to bring home a few dozen smelts and pan fry them up for a great meal. My method of cooking is to clean each smelt and then roll in flour or ploye mix and fry in butter for a few minutes. They cook quick and can be eaten whole. Aroostook County’s long winters require fishermen to expand their skills to include ice fishing. The beauty is that the same fertile lakes that attract anglers all summer long are open in the winter for more sport fishing. 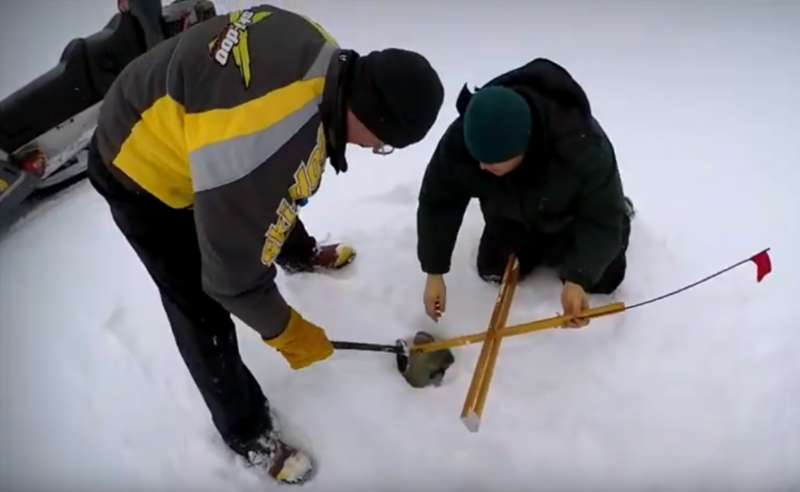 Preparing an ice fishing trap on a Maine lake. A Must-Try Tradition: The County has a long, rich tradition of winter fishing that is woven into our local culture as much as farming and forestry. For decades now, hearty County residents have taken to frozen lakes with fishing lines as a means to break up the long northern Maine winter in hopes to catch a fresh meal of smelt, trout, salmon or lake trout (locally called togue). Many of us long-time residents remember trudging through deep snow and slush with “tip-ups” and an ice chisel in hand (younger generations now have the advantage of power augers) to spend a long weekend day on one of the famous Fish River Chain of Lakes. 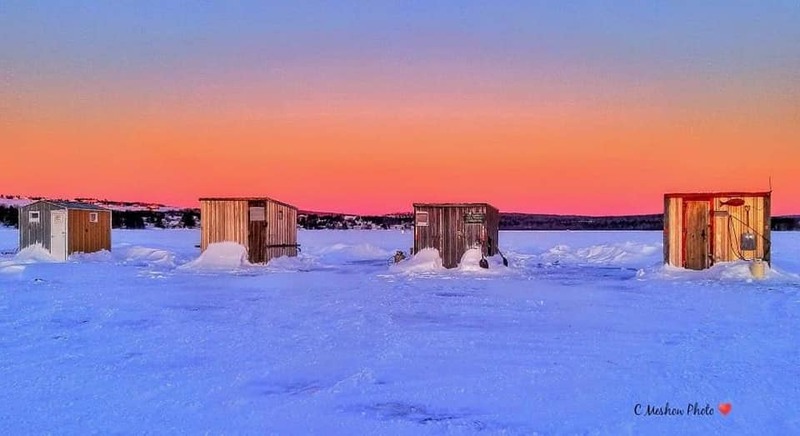 The major lakes of the Chain – Long, Cross, Square, Eagle, Portage and St. Froid – all hold fond memories of setting up the ice shack before January 15, the historic opening day, and catching the first smelt through the ice in the first minutes of the new season. Today, ice fishing is one of several popular winter sports for residents and visitors alike. The County has vast opportunities for winter fishing that can accommodate skill levels from novice to expert.